How do you go about raising your prices and not offending your clients? It may seem easier to just target new clients with your targeted online and offline strategies, some of which we’ve covered here before. Yet that approach focuses on attracting new clients only and we all know that keeping hold of an existing client, and continuing to work with them, is way more cost and time effective for you and them. So how do you handle the moment when you need to raise your prices? How do you keep your loyal customers and make them realise that you’re worth more? I wanted to lead through some real life case studies from completely different business owners and freelancers to see what worked for them (and what didn’t) so you can apply their lessons to your own situation. Around the end of 2012 Nick Holt Fitness (NHF) went through a price increase. This was an increase in pricing on everything – personal training, group classes and nutritional counseling. It needed to happen for a few reasons. Firstly, demand was increasing steadily, but also it had been two years since the rates had increased. The service Nick and his partner were now providing clients was of much better quality than two years ago and the value (experience + knowledge + training) now on offer needed to be reflected in the new higher prices. Nick communicated with clients on these key points and added additional tools to his training program. To the clients it meant they were able to get fit and lean faster and easier because of Nick and his partner’s more focused tactics. For new clients it was pretty easy. Usually new clients aren’t sure of what you cost, so whatever you tell them you’re worth and back up with return on investment, they are happy to accept. It was the existing clients that presented the more challenging conversations. In just 10 months they had increased their business revenue by $11,000 over their entire 10 month period prior to raising their prices. What Nick realized from his experience was that their own fear was their biggest hurdle. Having the uncomfortable conversation with clients was mostly uncomfortable for them. They didn’t even lose one client. They didn’t have anyone complain or seriously question the price increase. Greg Cruthers builds websites for small businesses, organizations, clubs and sports. He’s never had a problem raising prices on existing clients. Once they’re my customer they see what kind of service I provide. I always over-deliver and give them way more than they expected. I’m easy to work with and do not throw too much geek speak at them that’s over their heads. I even help them by giving advice for their businesses or organizations, assisting them with verbiage for some of their content, and help them avoid the common pitfalls of owning/maintaining a web site as well as some of the latest gimmicks and trickery. Greg has had the same experience as Nick when he increased a client’s maintenance fee from $100 to $250 per year. When he explained that he was going to raise his prices to reflect the quality of his work and experience, that client agreed he had gotten his money’s worth from him and had no problem paying more for the next year. Greg now works based on flat fees, not hourly rates. He quotes a price for a new site or maintenance and that’s that. One year later if that needs to be adjusted, then so be it. He gets lots of word-of-mouth business and referrals from customers. The reason Greg gets repeat referrals is he puts his all into his work and providing his clients with a great experience and the results they want. If you do the same, you will find that your existing clients are more than willing to pay you what you’re worth to continue working with you. Karl Dennis always make sure that he feels uncomfortable when giving his asking price. Always set milestones and deliver early. Ensure that when you address solutions for your client you do so in an ABCD format. Get used to saying “that shouldn’t be a problem” and give them a full proposal and solutions you can provide. That way you’re serving, not blocking their progress. Offer social proof, testimonials, quotes, as seen in promotions, and most importantly your portfolio, so they can see you’re worth it. Offer a money back policy and use the words “I carry the risk, so you don’t have to,” but get paid upfront for your services. Offer a payment link in the proposal (this is very important). A) Take a finders fee and build a partner/network with them and the person you referred them to. B) Stay on THEIR team while they hunt so you are in the know about what’s happening (instead of just a lost deal) and offer something else with perhaps less features and benefits based around what they’re considering elsewhere. Sarah McKay had been experimenting with pricing over the last couple of months as she believed with her qualifications and experience in the industry (PhD plus five years running her own consulting/writing business) she deserved a higher hourly rate. Sarah got a call on a Friday afternoon from an old workmate asking if she could manage to provide conference coverage for a GP education meeting the following day. As this was a new client, Sarah said ‘yes’ and quoted a flat fee (for about 24 hours work at $150 per hour). Their in-house writer was sick so they were scrambling at the last minute. They said yes and Sarah did the job. Two weeks after the project was done they called again, this time asking Sarah to quote on a different writing project and specifically asked for her hourly rate. She again quoted the same rate, but this client didn’t engage her services. What was different in this scenario? Sarah’s observation is that when she was working directly the client in the pharmaceutical industry, they had the budget to work with her, and therefore they had no problem with paying her what she’s worth. The lesson here is to directly work with clients who can afford you and respect the value you add. The other point to note is that you should, where possible, set a project fee over an hourly rate to ensure your client knows what to expect, and that you can work within that budget and timeframe. If the project goes out of that scope, you can clearly communicate with them the extra investment needed and they can make up their mind whether it’s worth it – by then, you would have already proved to them your worth (making it a no-brainer). 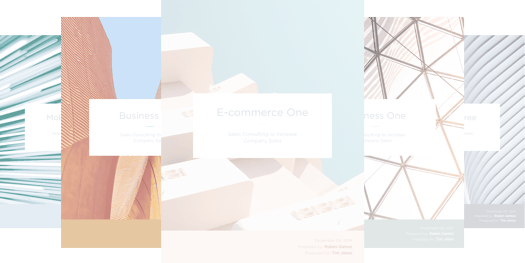 If there’s one key takeaway from these case studies above, it’s that if you continue to save your existing clients time and effort, you will find they’re willing to pay a higher price to work with you. Focus on the value of the product and services you provide and the results and outcomes you provide for their investment. Don’t focus on pricing your work according to hourly time and effort. Thats not scalable after a certain point. As Karl pointed out “If you save them pain, time or effort in the future, quantify it with an amount, i.e. if you’re saving them 20 hours every month and it’s costing them $25 an hour to work with you but their hour is valued at $100, that’s a huge return on investment for them. Or if the results you provide increase their sales by 300%, then what’s that really worth to them in terms of investment and overall return for months (if not years) to come? Take some time to digest these examples and lessons learned and apply it to your own unique situation. In the comments below let me know one way you plan to increase your prices in a way that is aligned with the value you provide. For a more comprehensive explanation of how you can present your pricing focused on value, check out our data on the proposal templates page. Next What Can We Learn About Business from Henry Ford?